I am linking up with Mrs. Miracle's Music Room to share my Resolutions for the New Year. 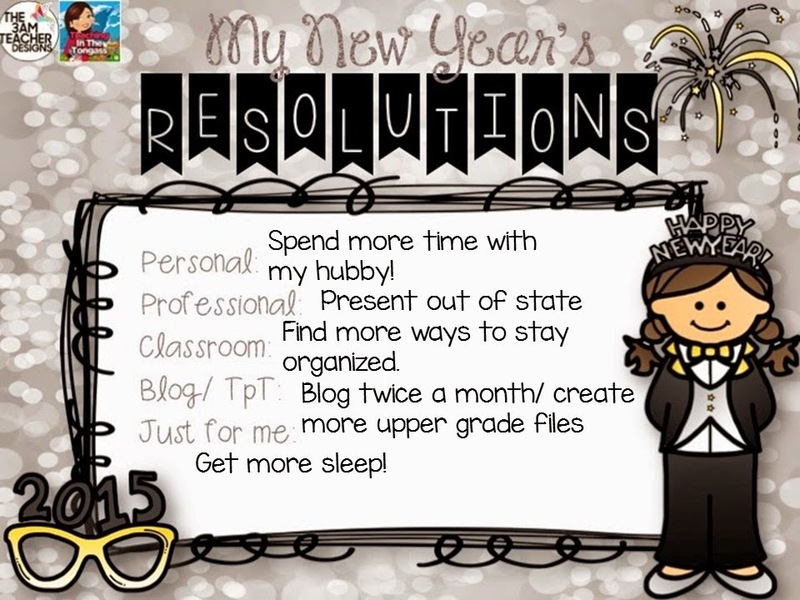 If you ask my hubby, he will tell you that I am personally not big on New Years resolutions. That is not to say that I don't set goals or reflect. I do both very frequently, but turning the calendar from 2014 to 2015 doesn't give me the sudden urge to change my life. I will play along though and give you a peek into some of my current "resolutions" or goals for 2015. Having a toddler, teaching full time, working on a masters, and creating for TpT doesn't really leave you with a lot of free time. I am often up really late creating resources for my classroom and to share, but I am making more of a priority this year to cut down on some of that creating time and spend more time with my hubby. I am off to a good start already. Ben and I took a trip to NYC for just the two of us as our Christmas present to each other. 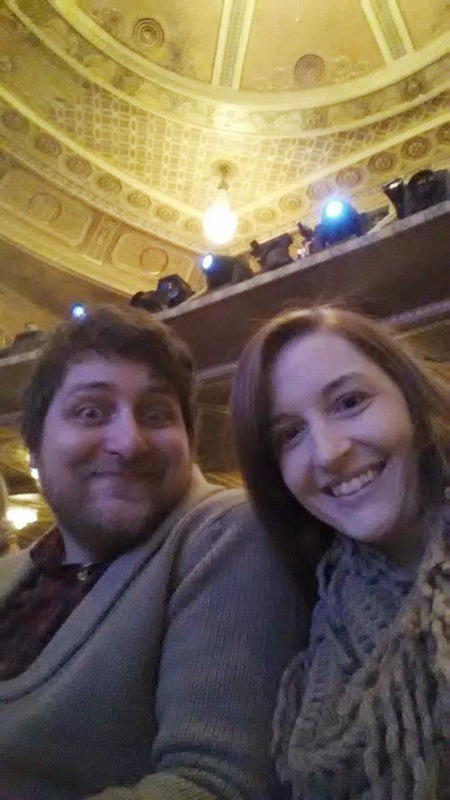 We had a great time and went to 3 broadway shows (Les Mis, Book of Mormon, and A Gentleman's Guide to Love and Murder). We loved them all. The last show was a gamble as I really hadn't heard any of the music from it, but it ended up being one of my favorite shows I have seen. If it ever ends up in your area, go see it! It is so funny! I am looking forward to this month because I will be doing my first out of state presentation for the Amarillo School District. I am presenting on "Tools for Music Literacy using the Kodály Concept". I will be showing how I integrate play and singing games with technology and other manipulatives to give students a joyful experience in my music room and to help them along the path to music literacy. I am excited and nervous all at the same time. I still feel like a really young teacher, but I am hopeful that I will still have new things to share with these teachers and that it will be a really fun day for all of us! Blogging- my blog is often left to the wayside. I hope to blog more often, but I have to be realistic. :) I think I can accomplish two posts a month! TpT- Generally, I create out of what I want/need for my classroom. I get a lot of requests and I try to work them in as I can. Some I jump on right away, and some, I just can't do for various reasons. One request I have gotten often is for resources for upper grades/concepts. That is on my "to do" for TpT for 2015. Just for me - Get more sleep! I pull a LOT of late nights working on things for school, grad school, and TpT. I am really going to try to get more sleep this year. My biggest reason is that I think it will really help with my overall health. I've been sick a lot this school year, and I am hoping more sleep will really help me to stay healthy. Also on the list: cut down on the soda, make better food choices, and exercise more. Whew! We'll see! Let's just start with trying to make it to bed a bit earlier! Do you do New Years Resolutions? What are your 2015 resolutions? Hi Lindsay. I was wondering if you have resources you would be willing to share from your Amarillo presentation. I am working on finishing my capstone for Silver Lake College (MME here I come!) on disciplinary literacy in the Kodaly classroom and your presentation topic caught my eye. If you would be willing to share, I would love your take. Thanks for all your great ideas.